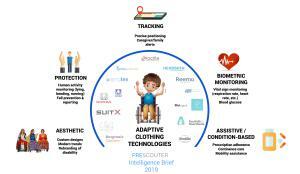 CHICAGO, ILLINOIS, USA, April 9, 2019 /EINPresswire.com/ -- PreScouter, a Chicago-based research intelligence company, has released a detailed report on adaptive clothing technologies with a comprehensive overview of the current state of the market. 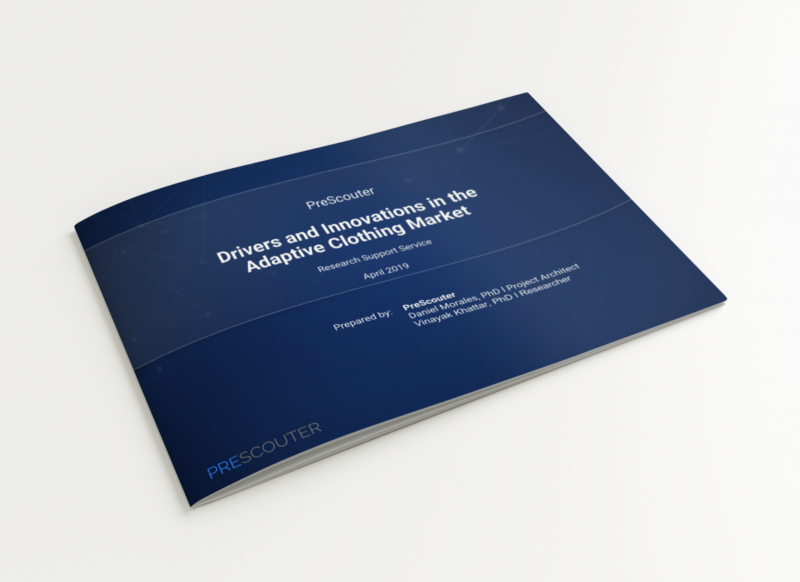 With a market opportunity of nearly $30 billion USD, PreScouter believes that this report is a valuable resource for any company looking to understand and potentially tap into adaptive clothing market. PreScouter provides research support services to help business leaders make better R&D, product development and corporate development decisions. PreScouter's custom-selected teams of Advanced Degree Researchers and Subject Matter Experts connect business leaders with new markets, commercializable technologies, industry-impacting startups, and other actionable data. PreScouter's growing list of 500+ clients includes GE Healthcare, Coca Cola, BAE Systems, Clorox, and Volvo. For more info, please visit www.prescouter.com.